Prices reflect a suggested donation value. All items are negotiable. 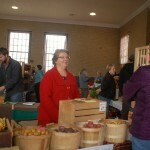 Who shops at Maine farmers’ markets? Branding your farmers’ market – guinea pigs needed! 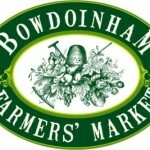 Find all the farmers’ markets that accept Maine Harvest Bucks by clicking this link. For a list of markets that accept SNAP/EBT- click this link! The Dexter Farmers’ Market takes place every Saturday from 12:00pm-3:00pm, June-October (weather permitting), at Bwart’s Plants in Dexter. Shoppers will find nearly anything their (local) hearts desire including fresh fruits and vegetables, eggs, whoopie pies and other baked goods, honey, pork, crafts, soap, jewelry and gifts.